Ian and I really love to capture every moments we've been together. In fact, we already have 5 large photo albums which consist of our food trips, out of town, extra curricular activities or just simple date. 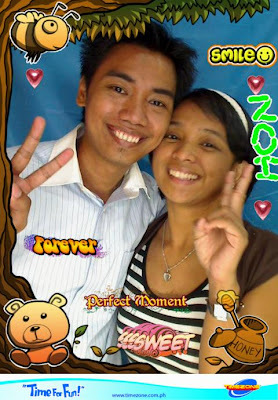 We also love to try photo booths that mall or amusement stand offers. 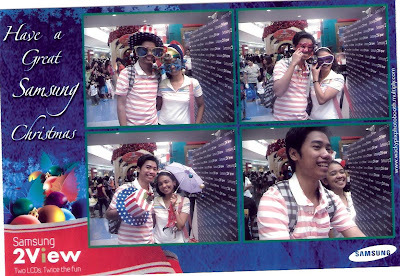 I remember Ian's gift for our 2nd monthsary. I was really amazed when I saw this cute frame with our charcoal paintings. 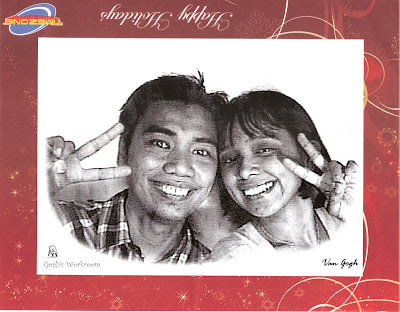 Then, I also remember our 1st new year together way back 2007, we celebrate it at Glorietta and have some fun at Timezone. We saw the Van Gogh Workshop; we get interested about it, so we decided to try it. Look we are too young that time. 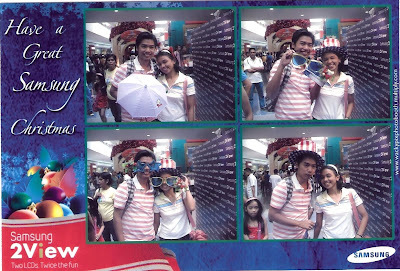 Before Christmas time last year, Ian and I do our usual date in MOA when we saw a Samsung booth which offers the new camera with two views LCD. We get curious since there are lots of people trying the new camera. 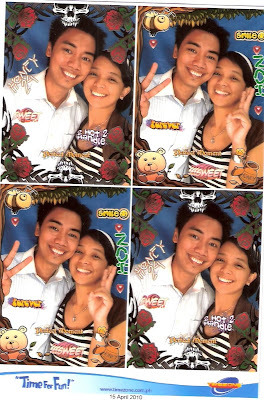 Upon reaching the booth, we were greeted by a nice promo girl and ask us if we could signed up in their registration form and we can use their picture booth for free. 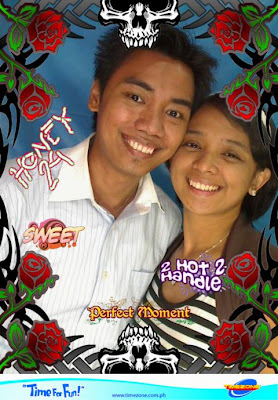 Because it is free of charge, we signed up and have our free photos using their own props. Hehe. 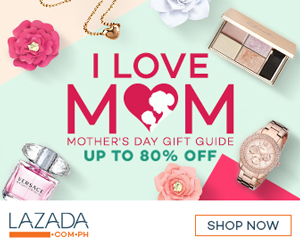 After watching Disney on Ice at Araneta Center as my birthday celebration last January 03, we then go off to Trinoma to have our dinner and bonding moment again. When we reach the Timezone we come to a decision to try again the Van Gogh workshop as a souvenir of my birthday. This time we look more matured person, right! Recently, after our dinner at North Park, Ian chose to unwind and relax, so he suggests playing again at Timezone. We played lots of amusement match like Time Crisis, EZ Touch Global and Panda Family. 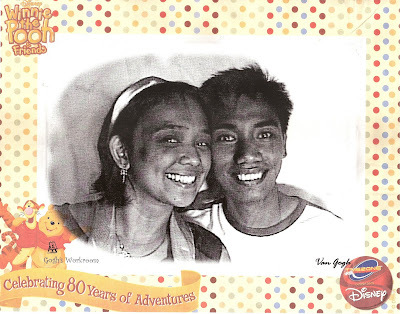 When we decided to go home, we saw a new arrival photo booth. Out of curiosity, we try it. Look, it's so nice right. We promised ourselves that we will try it again next time.